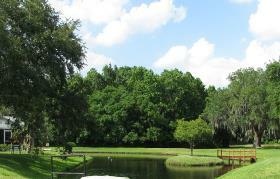 This pleasant gated adult community located in Lakeland, FL is charmingly nestled in a natural setting with a variety of trees, flowers, and a serene lake. Residents of this 55+ community enjoy a peaceful, but fun environment with affordable and low-maintenance homes. The Colonnades community provides a multitude of indoor and outdoor amenities. 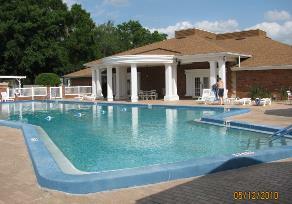 In addition, its excellent location in Lakeland, FL offers residents easy access to dining, shopping. As a bonus it’s only a short drive to Florida’s most popular attractions and beaches. Between 1985 and 1994, three hundred and sixty single-family homes were developed in the Colonnades by Florida Leisure Communities. FLC also built Highland Fairways, a 55+ community in north Lakeland, FL, featuring an 18 hole golf course. At the Colonnades residents have the freedom to choose from a variety of resale, single family home layouts. All of these well-kept homes feature accessible, one level elevations with exteriors that are low-maintenance. Lawn care and amenities are included in the homeowners’ association fee. Homes in this development range from a modest 991, to an ample 2,101 sq ft of living space. They feature up to three bedrooms, two bathrooms and a choice between an open carport or an attached garage for one or two-cars. Correspondingly, many homes in the Colonnades boast large eat-in kitchens, vaulted ceilings, living / dining room combos, spacious master suites, and walk-in closets. We have no doubt you’ll find a perfect match for your needs at the Colonnades. There is always fun to be had at the Colonnades in Lakeland, FL! In fact, game nights, exercise classes, poker, swimming, biking, bingo, billiards, and shuffleboard are only just a few of the activities available to active adults in this 55+ community. A multitude of social activities are sure to keep you entertained with other like-minded residents such as a flea market, coffee klatches, happy hour, dancing, club meets, and seasonal parties. Active 55+ adults that choose to make the Colonnades their home will enjoy a social, and active lifestyle like no other! also let their creativity blossom in the Colonnades’ dedicated arts and crafts room. For residents who wish to stay fit and healthy, the included fitness center and sauna are included at no extra charge. If reading is more your cup of tea, escape to the library to relax. The Colonnades neighborhood also includes outstanding outdoor amenities and activities. The heated pool provides an exceptional way to relax. Or perhaps keep your active lifestyle going with scheduled water aerobics and rejuvenating swim sessions. Coupled with the outdoor spa and lovely patio offering more opportunities to unwind. The Colonnades provides residents with access to shuffleboard courts, as well as a practice golf area. A barbecue area, gazebo, fishing dock, scenic lake views, and walking and biking trails are just a few of the other amenities within your grasp when you choose to make Colonnades your home! The convenience of the central Florida location in Lakeland will only complement your easy-going lifestyle. The Colonnades is situated close major highways, making it easy to explore everything Florida has to offer. Shopping abounds at the nearby outdoor mall and entertainment center located at Lakeside Village; as short 5 minute drive from the Colonnades. Or venture a little further to the 120-acre Lakeland Square Mall. You’ll also find you’re only a short twenty minute drive away from Joker Marchant Stadium to take advantage of all the events held there, including the Detroit Tigers’ spring training games. The Lakeland Center is just 6 miles away and features a variety of events and concerts. Furthermore, your Lakeland, FL location means you are never far from several golf courses. Tampa’s airport and attractions as well as Orlando’s airport and attractions are well within reach for Colonnades’ residents. 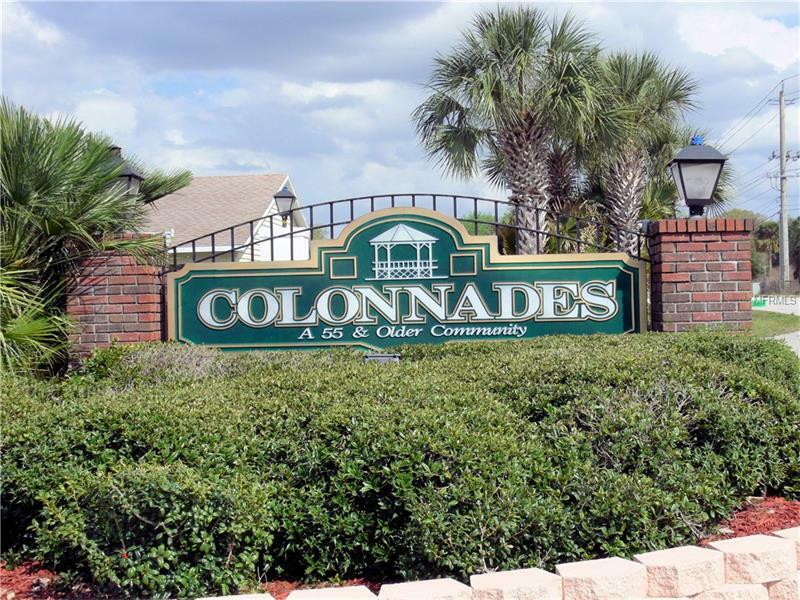 The Colonnades community is a charming, securely gated 55+ community that provides homes with secure values in an advantageous location in Polk County, FL. If you own a home in this community that you would like to list for sale please contact me, Petra Norris at (863) 712-4207.